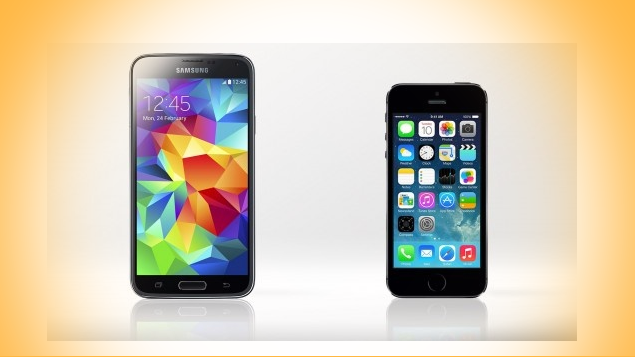 So shall we, in one photo review, compare the specifications of Apple iPhone 5S and Samsung Galaxy S5. 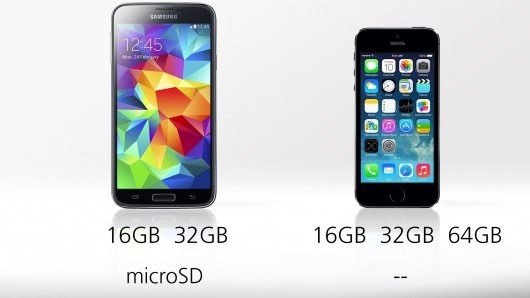 Dimensions: iPhone 5S is the smallest high-end flagship device. 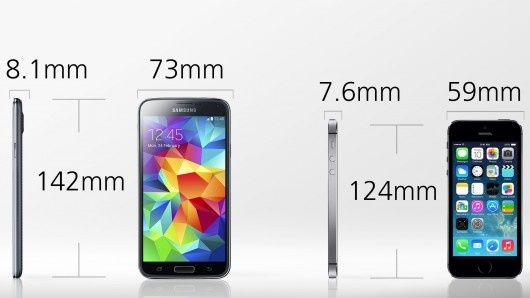 Samsung Galaxy S5 is 15% higher, 24% wider, and 7% fatter. 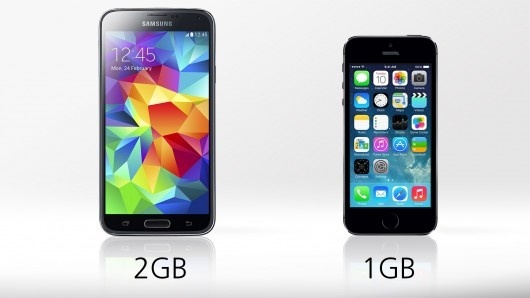 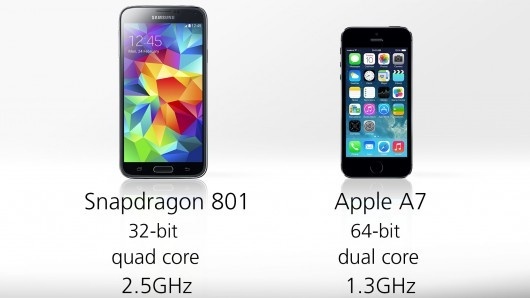 Weight: iPhone 5s is 23% lighter compared to the Galaxy S5. 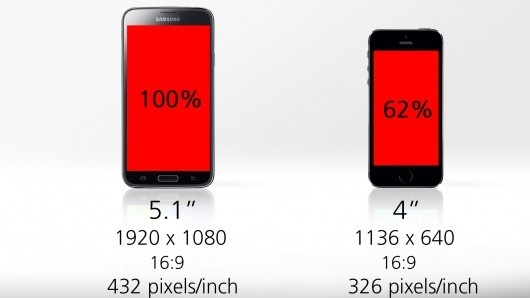 Display: Galaxy S5 has a resolution of 1920 x 1080 pixels with a density 432pp and the length of the diagonal of the screen 5.1 inches. 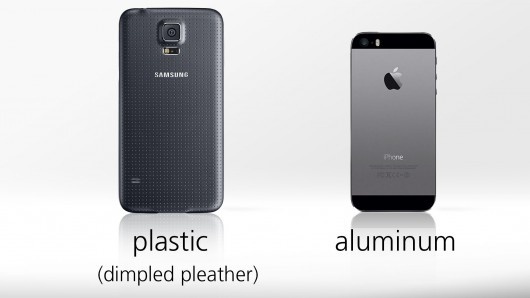 iPhone 5S is characterized by a resolution of 1136 x 640 dots 326ppi pixel density and the length of the diagonal of 4 inches. Assuming that the Galaxy S5 screen occupies 100% of the front surface, then the iPhone occupies only 62% of the area. Fingerprint sensor comes with both models, but Samsung’s Touch ID is better when it comes to security. 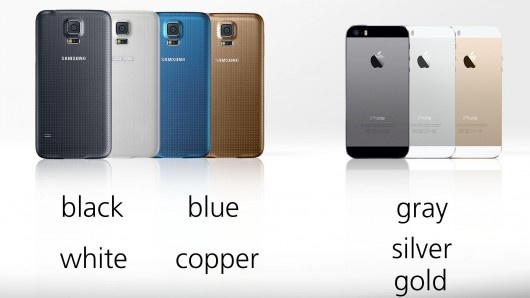 Heart rate sensor (unnecessary function unless you have Samsung Galaxy Gear watch).